Tyquendo Tracey has smashed the NACAC Championship 100m record and won the gold medal on Day 2 of the 2018 NACAC Track & Field Championships underway in Toronto, Canada. 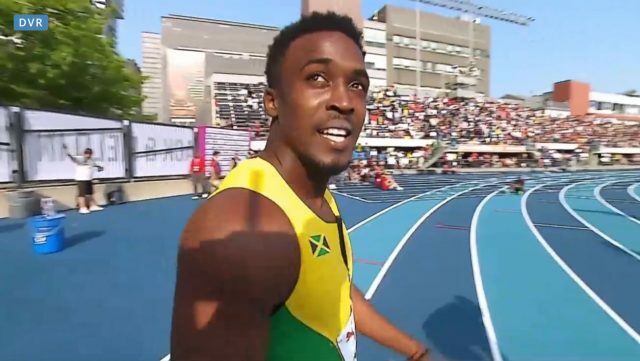 Tracey, who made history last week, ran a power race to clock 10.03 to break the champion record of 10.07 set in 2015 by Jamaica’s Sheldon Mitchell. Jamaican Tracey Kenroy Anderson pulled up in the first 10 meters of the race.